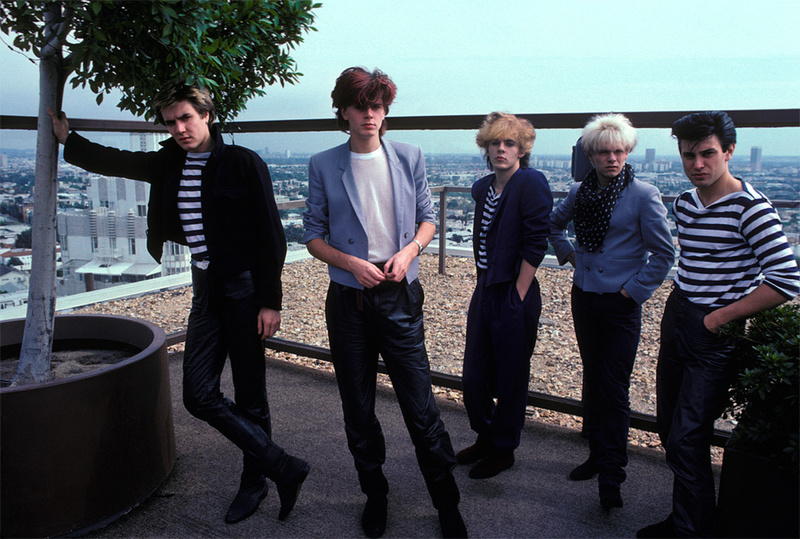 I was a really big Duran Duran fan. Everything about the band was so cool. I read about them in the European press and of course, I had heard their records all over the radio. A couple of days before their debut showcase at the Roxy, I called up their road manager at the Hyatt House (we used to call it the Riot House) and asked for a photo session. I could have told him I was shooting for Music Life and Rock Show, which were amazing magazines in Japan regularly publishing my work. The band had nothing better to do, so it was arranged and I met them at the hotel pool. They did not have a clue about getting around in Los Angeles; so, I piled them into my old Mercedes and gave them a tour of the Sunset Strip. The photo session was amazing and John Taylor made sure that I was on the guest list for the gig that evening. The following year, Andy Taylor got married at the Chateau Marmont Hotel and I just kind of showed up with some friends and joined the bash. Camera in hand, of course.